Everyone has made mistakes they come to regret. Some regret them immediately and others come to regret them much later in life. For many young people that commit violent offenses under the age of 18, regret may come much quicker than anticipated. For many years violent juvenile offenders have been subject to the harsh laws of their older counterparts. For some potential 2,000 inmates, justice may come earlier than expected. In 2015, the Florida Supreme Court handed down a ruling forcing the state of Florida to treat juveniles who commit crimes differently than adults who may commit the same crime. The argument centers around science. Juveniles do not have fully developed brains and thus should not be tried as adults. They are prone to impulses that fully-grown adults are able to ignore. Furthermore, juveniles make good candidates for rehabilitation, strengthening the argument that the penalties should include shorter terms and smaller punishments in general. Penalties should also center around rehabilitation and take the emphasis off the penal aspect of sentences. The U.S. Supreme Court had previously ruled that life sentences without parole were unconstitutional for juveniles. However, Florida, with the highest rate of incarceration of juveniles in the United States, abolished parole in the 1980s. Most recently, the Dennis Hart case in West Palm Beach has shed light on the shadows of the juvenile penal sentencing system in Florida. In 1997 Dennis Hart was convicted and sentenced to 30 years for breaking into three homes and robbing a total of nine people at gunpoint. At sentencing, Dennis made it obvious he was ready and willing to reform. The judge took what could have been as little as a four-year sentence and imposed close to the maximum penalty. In the ensuing years, Dennis appealed this and requested his sentence be reduced to 10 years. His request fell on deaf ears. 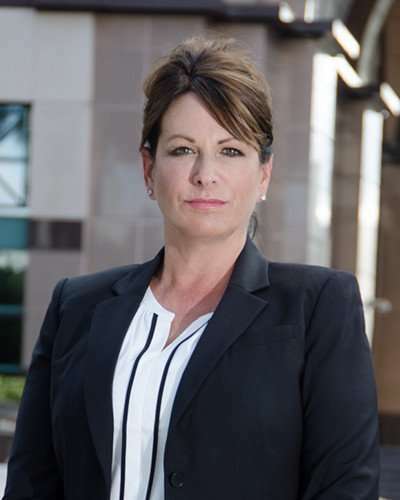 The Florida Supreme Court in recent years has changed its tune and ruled similarly to SCOTUS, noting that juveniles should receive special consideration due to their youth and vulnerability. The state legislature then went one step further and required that incarcerated juveniles be given the chance to show they are reformed- judicial review would be required after one has spent 20 years in prison. The Florida Supreme Court later ruled that sentences that exceed the life expectancy of the juvenile are illegal because they are life sentences by default. While the ruling of SCOTUS should have made a sentence like Dennis Hart’s easy to overturn, it has yet to happen. The Florida Supreme Court has not yet applied the SCOTUS ruling to sentences 30 years or less. More importantly, there are some 2,000 Floridian inmates who did not receive the threshold sentence to meet the Supreme Court Standard, but like Dennis Hart are still serving decades in prison. For Dennis Hart’s family, a thirty-year sentence is tough to swallow, as people serving time for murder have spent less time incarcerated. If you or someone you love has fallen victim to unfair sentencing, you are not alone. Contact Perlet & Shiner, P.A. in West Palm Beach and let an experienced attorney guide you through the legal process in order to achieve the best result.